Ramanujam Royal Convent School is run by Ramanujam Royal Educational Society (Regd.) located at a distance of 1.5 K.M. from Shimla–Dharamshala National Highway - 88 on Darla-Mod to Beri at Devnagar, (Samloh) Teh. Arki Distt. Solan (H.P.) and is connected by road having frequent bus/ conveyance services. Having been granted NOC by the Govt. of Himachal Pradesh vide letter No.EDN-H (21) A (1) P.S- 11/2006(SLN)No , Dated-06 May 2009 affiliation to CBSE. The institution started its first session in 2010. 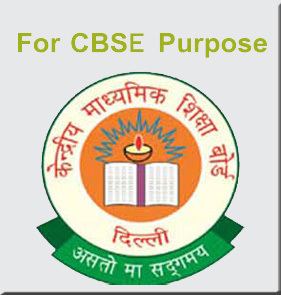 The institution has a modern building with necessary infrastructure as per the norms prescribed by CBSE. Ramanujam Royal Educational Society registered under Society registration act XXI-1860 was formed in the year 2003 with the lofty aim to provide quality education in science to the pupils belonging to Low Income Group, Middle Income Group and to promote education in science. Under the dynamic leadership of Mr. N.R.Chauhan, a renowned social worker of the area and Sh. Manish Rattan, a dynamic hard worker and dedicated social worker, the management of Ramanujam Royal Educational Society decided to raise CBSE School to uplift the remotest area of Distt. solan (H.P. The Government of Himachal Pradesh issued the "No Objection Certificate" to run School. "To promote quality education, to convert a novice in to a competent expert in the relevant field at par with global standards by meeting the far reaching expectations and requirements of the students through devoted and dedicated staff with updated systems and continual improvements. To be, and to be recognized for setting the standards of excellence in quality education. The mission and vision are drafted with utmost care to envelop all aspects of quality education curriculum giving adequate weightage to class teaching, innovative teaching and service activities. It is clear in its message and takes in to consideration future development in the field of education to the aspiration of a premier School. To promote academic excellence, widen intellectual horizons, inculcate self discipline high ideals for the total personality development of the individual. To Convert novice into well civilized and well cultured students.